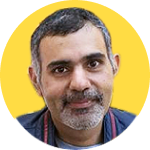 User experience, of late, has come to almost dictate the consumption of digital experiences by customers. 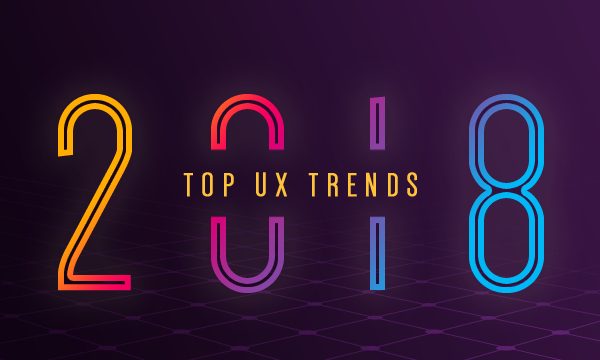 And 2018 has been a year when UX has been at the center stage. Though this importance will continue in 2019, there are certain trends that are likely to dominate the scene as the new year approaches. So, it’s time to get you prepped up for the most dominant UX trends 2019. Flat design is something that is likely to fall flat on its face this time around. Since the advent of material design in 2014, user experience design has started moving on a more engaging level with responsive animations, 3D icons, light and shading features, transitions, and much more. We have now moved from the bland minimalism, crispness and brightness of flat design to liveliness, increased interactivity, detail (in textures and patterns), adaptability of design to various devices, customization, and a user-centric approach. The good news is that material design and flat design (that had been quite a success earlier for ease of use) have three very important features in common — the strife for minimalism and structure, and the use of bright colors. So, material design, it is. The U.S. market for intelligent virtual assistants is estimated to grow at a CAGR of 36.7% through 2016-2024. Eliminating the need to type through voice-activated interfaces is, thus, the next big trend in 2019. Since the start of voice assistants, 90% accuracy in voice commands is the new normal, thus making the voice-activated interface a rather handy option. Now, even as search engine optimization explores voice command-based queries, voice-activated UI is just the thing businesses will look up to. There is no running from the fact that content is the king. UI and UX are no more about just design. Businesses today need to weave compelling stories around the digital experiences that they create. So, design needs to be and is going to be much more informed with user data like behavior, preferences, and journeys. UX, as we see it now, is incomplete without content. 2019 plans to make content a major part of the design itself. Consider making relevant content available and accessible to your target audience as a part of the UX design principles. The customer prefers those interfaces, which are personalized to their convenience and tastes. The best part is that personalization actually extends to appealing to the universal human nature and needs. Catering to the customers’ needs based on their past interactions through various stages and touch points, preferences, purchases, reviews, etc., goes a long way in delivering personalized user experiences. Personalization is a UX trend that is dynamic. Its USP is that it learns and adapts. By personalizing a user’s experience, you are offering something useful based on the users’ characteristics, behaviors, attributes and/or data analysis. UX personalization is about creating a customized user experience that is relevant to and targeted towards a particular user or a group of users’ needs. And that is what it will be like in 2019. By 2021, video will comprise 80% of all internet traffic. The average attention span of an internet user now stabilizes somewhere around 8 seconds. Videos are a just the way to express more in little time. It’s the kind of content that makes every second count, that is if made and placed intelligently. Experts suggest that a majority of Internet traffic will come via videos; short videos in particular. By no means is it one of the latest design trends, but a rapidly advancing one for that matter. An average user is likely to abandon a web page if it takes more than three seconds to load. Transparency and comprehensibility will be the buzzwords in everything we do in 2019. Just like short load time of web pages and apps can never be over-emphasized, the aim of saving the time and effort can never be overachieved. Navigation thus needs to be as clear, simple, and time-saving as possible. The flow of features and functionalities should be simple so that there can be quick problem solving through interactions. The ideal load time of an app is less than two seconds. Use of decluttered material design, animation, clearly visible, and differentiable design, etc., is going to take precedence over busy screens with menu burgers. The market size of AR is expected to grow at 85.2 CAGR between 2016 and 2121. Big brands like Walmart have already taken AR into their stride, and the best of designers are now trying ways to make AR a part of their applications. It has, thus, moved out of gaming to the world of retail as well. The advances, which this technology is making, spell the future of user experience and even predict the user’s next action or query in the customer’s journey. The coming year will embrace it more than ever. Well, it isn’t the latest of UX trends, to be precise, but it is revolutionary in the sense that it is exploring an increasing number of use cases. In a decade when security issues have scared businesses to death, identity management and authentication are prime concerns. the increasing penetration of mobile devices and online transactions being major factors. Biometric authentication is here to solve it, and thereby become one of the extremely important UI and UX trends. This is one technology that can ensure security for both, the businesses as well as the end users, thus improving user experience substantially. The banking sector, in particular, is delivering great digital experiences by incorporating biometric authentication in their UX design. And that’s not the only use. Now, authentication through facial recognition, voice recognition, fingerprint, and iris scan is becoming one of the latest mobile UX trends that are already gaining traction with mobile devices. 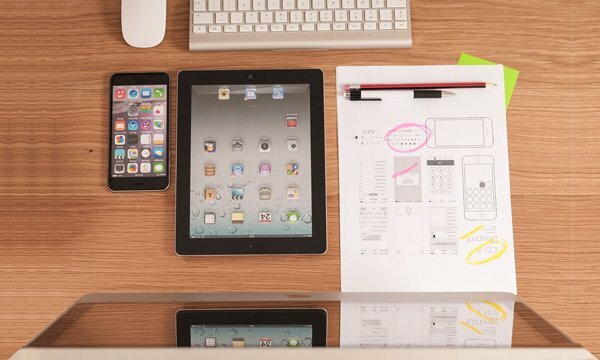 Given the large number of connected devices that deliver digital experiences to users, the aim now is to deliver a seamless experience no matter what device it is being delivered for. It’s no longer just “mobile-friendly” we are vouching for; it’s “mobile-first”. Being device agnostic is no longer going to be a choice for businesses that want to succeed in their digital experiences since it’s the device-agnostic designs that will lead the race. Yes, foldable displays are no more a dream. The prototypes are here and this is what the best of businesses will aim to cater to. Brands like Huawei, Samsung, Oppo, and LG are all set to float foldable displays on the market. 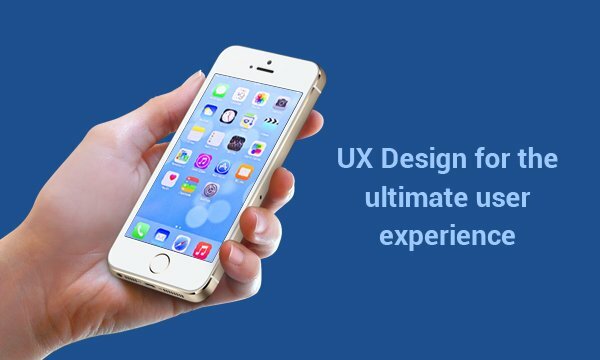 Though more of a challenge, since the UX design, in this case, is going to be different from responsive design, the trend will rise as the prototypes are launched. Whether it is 2018 or 2019, the general beat, that these times follow, is ease of use. No matter on what device or interface you deliver a digital experience, it has to be flawless. Any UX design feature that causes confusion or increases the time of comprehension for the user needs to put out of the way. It is in this context that the shift from the hamburger menu to tab-based menu, it makes perfect sense. Features like long registration procedures instead of one-tap sign up/login; setting multiple passwords for multiple actions instead of captcha or verification codes; using the same design for desktop and mobile versions of the website instead of crafting suitable design for each, are just some of the common mistakes that pull your digital experiences down. Here are some things that users will not accept, and irrespective of what the UI and UX design trends are, you should get rid of these hiccups. The new year seems to be progressive in more aspects than one, perhaps only to take UX to greater heights. Are you ready for UX trends 2019?